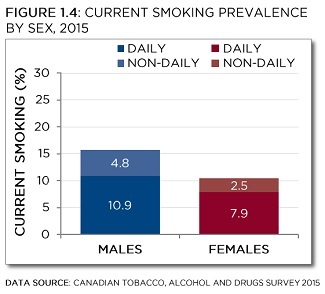 In 2015, 15.6% of males (2.3 million) and 10.4% of females (1.6 million) were current smokers (Figure 1.4). 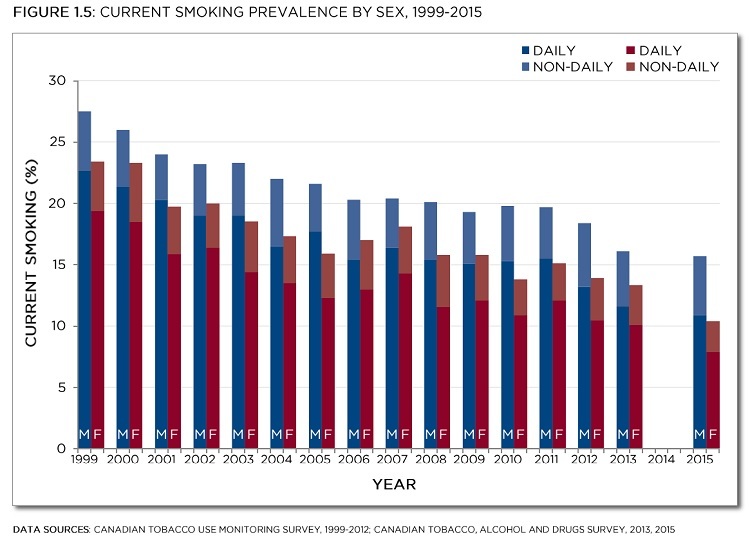 Smoking prevalence estimates were higher among males than females in all survey years from 1999 to 2015, although the magnitude of this difference varied (Figure 1.5). For further information about this report, please contact us.